ENAR Ireland works with the Canal Communities Regional Youth Service, Canal Communities Partnership and Rialto Community Network to create an anti-racist community model using iReport.ie online racist incident reporting system and existing community connections in the Canal Communities in Dublin (including Inchicore, Bluebell, Rialto, Islandbridge and Kilmainham). The work is informed by a restorative justice perspective, where we seek firstly to empower communities to address issues for themselves and utilise existing community relationships and structures. This model is about creating a community that is both pro-active but also responsive to the reality of racism. We hope this model can be applied across Ireland in the future. Interested? Join the project! Contact Aga (aga@enarireland.org) for details. Like Canal Communities Against Racism on Facebook and share our new Facebook page with your friends and/or followers. The area has a long and proud history of anti-racist and intercultural work as well as a high level of connectivity across different organisations. The area has a reputation for its political activism. The community has a high percentage of ethnic minority residents (approx. 21% over all). We know there are racist incidents frequently happening in the community effecting not only Travellers, migrants and religious communities in the area directly but also harming the entire community fibre indirectly. The area has successfully piloted its own system for recording racist incidents in the past with a high level of community engagement. We are aware there are many local groups and organisations who feel that racism has no place in the Canal Communities. We believe it’s the right time to come together to show that racism is not accepted here and to build a welcoming, inclusive and safe environment for all. Groups nominate an individual who will represent them and take responsibility for rolling out the initiative in their organisations. Organisations sign up to a simple anti-racism protocol and display this in their respective projects or centres. Nominated people participate in a half day training on reporting racism using iReport.ie and responding to racism in a community context. This gives a space to tease out how we can and should respond to racism in a community context . Trainees become points of contact for victims/witnesses of racism in the area to support reporting through iReport.ie and establish an effective referral system. A promotional campaign using posters/fliers in organisations, businesses and public centres affirming the areas commitment to anti-racism. Nominated individuals participate in a network of organisations committed to anti-racism in the area on a monthly basis. As issues and incidents occur that network acts as a point of support in responding at a community level to incidents of racism. All incidents are logged to iReport.ie. The evaluation will be carried out by ENAR and findings will be proposed as a model of community response to racism in Ireland. 4 Garda Officers, one male and one female from two local Garda Stations (Kevin Street and Kilmainham) has been assigned as the officers to go to in terms of reporting racism. They agreed to come out into the community to meet people who have been targeted by incidents in a safe space and to work with the network. Their contact details can be accessed here. The network of organisations meet monthly and as need arises. Meetings include space for Project Champions to tease out some of the difficulties with reporting and responding in a community context; to share success stories; to share resources; to develop links and network in relation to anti-racism and intercultural activities and issues. ENAR Ireland gives feedback on anonymised area based statistics on racism in the Canal Communities. This helps to identify trends in the area, racism hot-spots and issues that might warrant more structured interventions. Network members take reports, support those affected by racism and act as ongoing support for each other as issues arise. Group members can contact ENAR Ireland for support/advice when needed. 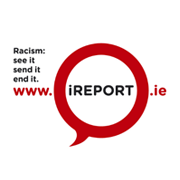 Taking ongoing reports of racist incidents in the Canal Communities through www.iReport.ie. The reporting tool is simple, straight forward and confidential. 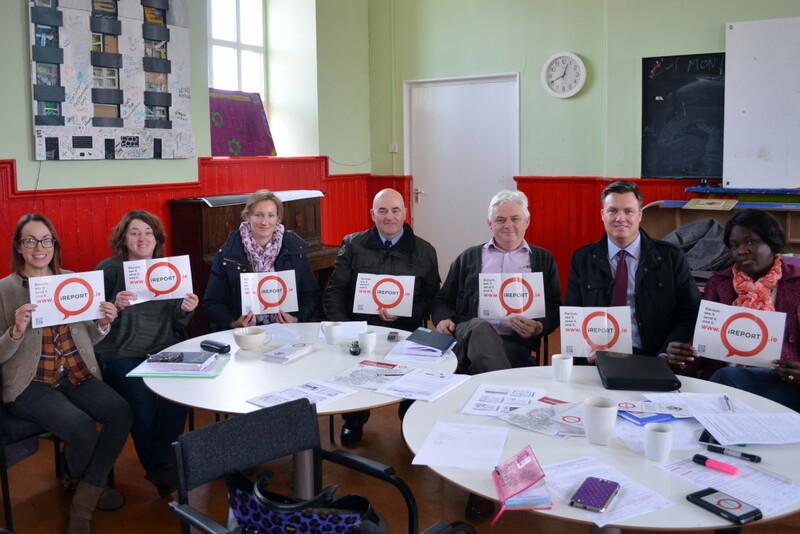 ENAR Ireland, CCRYS, CCP and RCN provide resources to proactively promote anti-racism in the community. ENAR Ireland supports the community to mount a positive campaign or action and provide posters and fliers that allow the community to visually represent its commitment to anti-racism. Participation and support in organising the final event to celebrate the project and its achievements. Data on racism in the Canal Communities. The community will hear their own data back and get a chance to get an overview on the extent of racist incidents in the community. Safer, more welcoming community = less racist incidents locally due to better awareness and collective, organised and informed response to racism. Establishing a model for the creation of a Community Response to Racism with support of iReport online reporting system. Evaluation and a short report on project model and recommendations and its impact. Greater awareness among the community (indigenous and minority ethnic groups and local organisations) about how and where to report racism. Stronger, improved relationships among local organisations, the Garda and minority ethnic residents of the Canal Communities. Think about it - discuss your involvement with your organisation. Let us know you want to get involved. Contact Aga at aga@enarireland.org. Even if your project or organisation has no capacity to actively participate in the project, feel free to download our promotional materials and display them in your premises.